I am going to possibly pull a Ryan Adams and call this my last blog post about food ever... only to come back to food blogging a month later. Not really. But I am announcing that my heart is no longer in it in this way. It's not that I am not still inspired everyday about food and cooking and ingredients and traveling and Italy. Not at all, and I still do most of those things. It's just that the format of the food blog no longer inspires me and I believe I have much more to give in terms of verbally expressing myself. I have interests and opinions that go beyond the parameters and limitations (and dare I say, solipsism?) of writing about and photographing the food I make. It's time I start to explore those other venues. I hope it will produce a much more meaningful outpouring of ideas, one that I enjoy writing as much as someone may enjoy reading. There are plenty of other food bloggers out there to tow the line, some of them actually good. But for now, the changes are coming and I hope they will be posted soon. So please do check back and thanks for reading this amateur experiment I've entertained for the last year and some change. 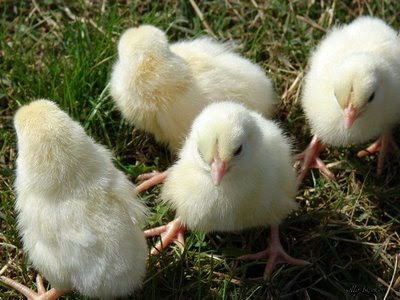 This chick is out searching for more passion and is looking forward to seeing what will hatch. Happy Spring! This is a recipe from the Amalfi coast that my friend Peggy brought back from her yearly culinary odyssey which takes place in June. 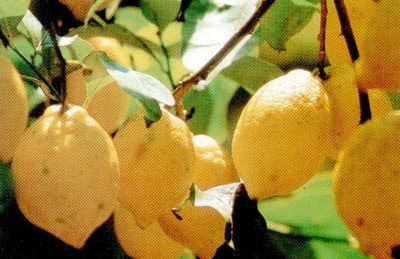 The Amalfi coast is renowned for its lemons and they produce many wonderful things there with the citrus fruit, including Italy's best limoncello (nothing other than vodka steeped in lemon rinds and sugar, but the highest quality Amalfitani lemons must be used). I like this recipe for spaghetti al limone because it feels right for the season. To be sure, lemons are in season here in winter, but mainly because we are getting them from far away, warmer locales such as Florida and California. But they are available year-round like much produce, only they aren't as beautiful and fragrant as when you buy them in winter. So I've been making a lot of recipes using lemons lately, and this one seems like a perfect dish for now as we transition from Winter to Spring and the weather is 80 degrees one day, snowing the next! It's light and easy and not too heavy on the sauce and reminds me of a simple summer meal on a boat in Capri (I wish). In fact, there is no sauce, just as there is no boat. But I can dream. Just the juice of one perfect lemon, the best you can find whether it's a Meyer lemon or just an organic one. You don't want to use a conventional lemon for this recipe as the zest is a big part of it and they tend to be laden with pesticides if not organically grown. Bring a large pot of water to the boil, add salt and cook pasta al dente. While pasta is cooking, simmer on low heat 1/4 cup of olive oil, garlic, and half the parsley, for three minutes. Add half the lemon juice and the drained pasta to the sauce immediately, toss. Add a bit of the reserved pasta water if needed to elongate the sauce and keep the pasta fluid. Add the rest of the lemon juice and the zest of one lemon. Toss again gently in the sauce pan and add some parmigiano cheese if desired. Serve immediately. Brighten with last bit of parsley and a drizzle of good extra virgin olive oil. I have always loved a good bolognese sauce, ever since I first tried it in a little trattoria in Ferrara. 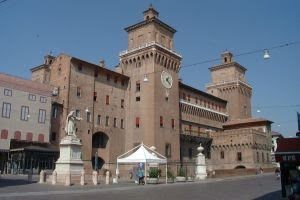 I was studying in Florence that year and I had taken a train northeast to Bologna and stopped along the way in this beautiful town in the Emilia-Romagna region to see the Castello Estense, a famous brick castle in the center of town surrounded by a moat. The 14th-century castle is certainly impressive, but what I remember being most impressed by were the well-dressed Ferraresi of all ages choosing bicycles over cars... and their famous Bolognese meat sauce. 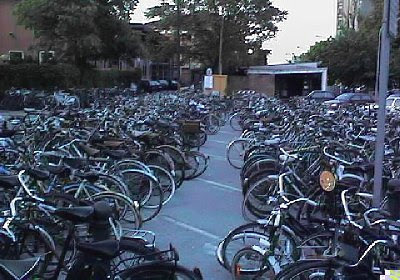 The residents of Ferrara, as I learned, are as enthusiastic about biking as they are about homemade pasta. Located in the heart of Emilia-Romagna, the region made famous by parmigiano, prosciutto and salumi, the city's inhabitants are known all over Italy as the experts in stuffed pastas (ravioli, tortelli di zucca, tortellini) and the all-important ragù, indispensable for lasagne. If you've never learned to make a real Italian ragù, now is your chance. I never thought much about it, I admit, for many years traveling and eating throughout Italy. It is not as prevalent in the places where I've spent a lot of time, like Rome and Tuscany. But in Central Italy and the cities of Bologna, Parma, Ravenna and Ferrara, it is essential to the local cuisine. And to know how to make a good, versatile ragù is to know how to do just about anything. Called "bolognese" after the city of its origin, whenever a menu lists pasta alla bolognese, that means it is served with ragù. This is the meat sauce that is preferred in the region for homemade pasta. As Marcella Hazan notes: "a properly made ragù clinging to the folds of homemade noodles is one of the most satisfying experiences accessible to the sense of taste." I happen to agree. And, as Marcella says, the key to a good ragù is in the long, slow simmering of the sauce. The minimum is 3 hours, she says, but 5 is better. Now, before you run away thinking this is something you will never do, remember that the sauce just needs to be left alone to cook at the merest simmer for all that time. Once it's on the stove you are free to do a million other things. I even ran to the airport and picked up friends while mine simmered on the stove the other day, in preparation for my lasagne bolognese. I don't recommend leaving your stove unattended, but I had no choice. My friends were early and I was not going to mess with my ragù. 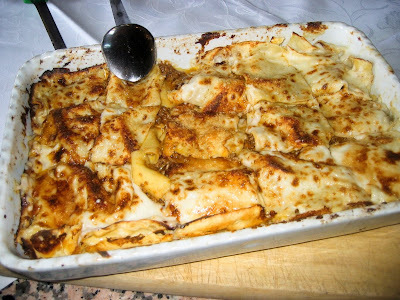 Here is the recipe I learned while in Italy from Carla, the cook at Fattoria degli Usignoli. The only difference between hers and others I've seen (Marcella's of course, and Tyler Florence actually makes a good one, if a bit heavy on ingredients) is in the addition of milk or not. Marcella maintains that the meat, after just barely losing color, but not browned, must be cooked in 1/2 cup of milk before the tomatoes are added. This, she says, keeps the meat creamier and sweeter tasting. But I made it without and it was pretty sweet and creamy anyway. You should also use at least two types of meat, one of which, like pork, has a high fat content. Tips: Make this in a large cast-iron enamel or earthenware pot. And, this is one thing that I like to use the food processor for --to chop very, very finely the carrots, onion and celery --so that they make almost a puréed 'sofritto' to start with. After chopping the veggies, heat oil and butter in pot and add the pureed veggies and cook for at least 10 minutes until they begin to soften and give off moisture. Then add the pancetta, let brown, then the ground meats, crumbling in the pot with a fork and cook only until the meat has lost its raw color. Add the wine and turn the heat up to medium high, and cook, stirring occasionally, until all the wine has evaporated. (Add the milk and nutmeg at this point and cook until the milk has evaporated). Stir frequently. Add the tomatoes and when it starts to bubble, turn down the heat and let the sauce cook at the lowest simmer, uncovered, for about 3-4 hours. Taste and correct for salt. Ragù can be made ahead of time, but do all the cooking in one day. It can be kept in the refrigerator for up to 5 days, or frozen, and reheated.